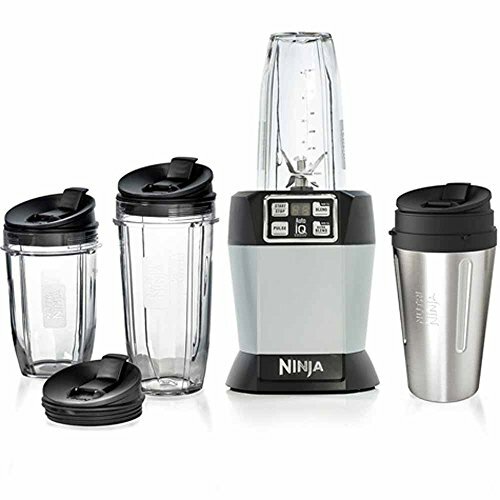 The Nutri Ninja Professional has a powerful 1000W motor, Ninja Blade Technology spinning at 21,000 rpm, two preprogrammed settings and two manual speeds. This helps to break down whole fruits, vegetables and ice in seconds. Traditional blenders will leave you with chunky, gritty thick liquid while traditional juice extractors leave you with warm juice without any of the fibre. The Nutri Ninja PRO gives you power and versatility allowing easy frozen blending, chopping, nutrient & vitamin extraction and instant healthy dressings.